When heat curling your hair you must do a few things, one is protect your hair from the heat your going to expose it to. Another is use some type of product to help hold that curl and not weigh it down. L'oreal Paris has you covered with both these steps with Elnett Satin Styling Heat Spray for Curls. It protects your hair from heats as high asa 230°C as well as can help hold your curls for up to 3 days. 3 Days!!!! And it works I tell you, because I have gone 3 days with curls I created using it, more than once. It also locks out frizz and humidity, which is probably a key thing in keeping those curls in place. In the past I found even when using products meant to be used to heat protect and help with the curling process, I never could get a curls to hold. Often the products were heavy and just didn't do a great job. Elnett is light a makes my curls bounce. 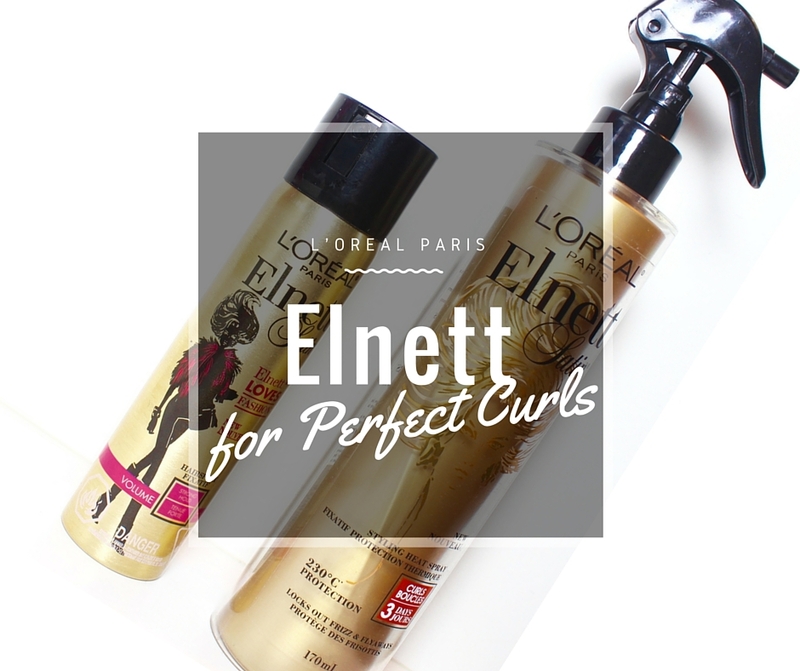 So here is the thing, to get your curls to really hold pair the curl spray up with the classic Elnett Satin Hairspray in Strong Hold, you won't regret it. Pretty much every great hairstyle needs some hairspray to finish it off, and to be honest I hated hairspray until I discovered Elnett. It is fine and won't ruin your look by being wet, as well it really feels so much better on your hair, not crunchy. What can I say, using the curl spray before curling and the hairspray after really has let me curl my hair without the fear it is going to fall that day, and that I can wear it for the next two days. There is just something about it. I spray it evenly on my dry hair, it is a super fine spray so I never get my hair too damp, just nicely covered. I let it dry while I heat up my curler. I curl my hair, and when I'm done with a section I let it cool in my hand for a few seconds (this help hold a curl too). When I am done curling everything, I spray some hairspray all over. Then I am done. At night I wear a satin cap, it really looks like a shower cap, but it also help me now just mess all my hair up too much (but sometimes I am too lazy and just go to a bed without it). On day three I usually use a bit of dry shampoo on my roots to help combat any oil. That is it, nothing fancy. You can also spray it onto wet hair, scrunch the hair and then use a diffuser. This method is for if you already have naturally curly or wavy hair. Which I have yet to try, but I am sure is great because even with natural curly hair you need heat and fizz protection. 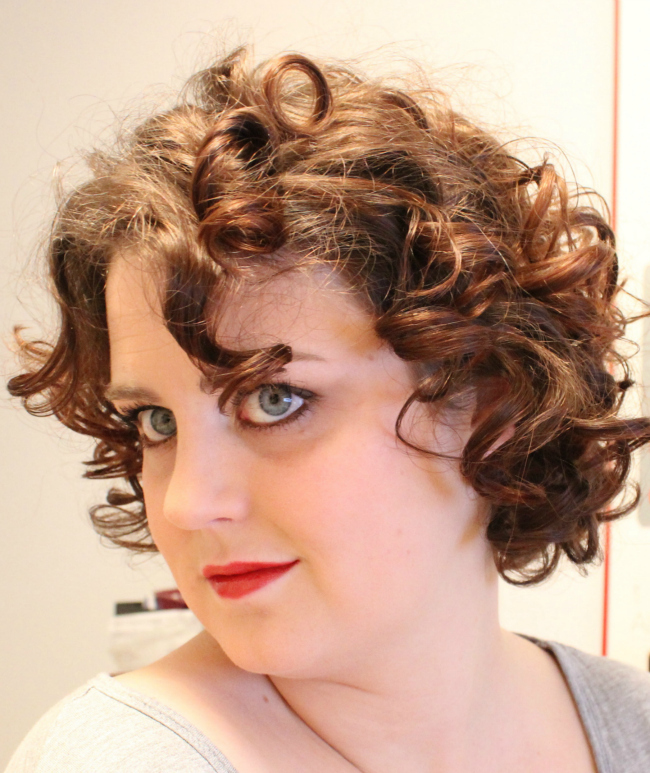 Here is a picture from earlier in the year (when I still had longer hair), showing day 1, 2 and 3 curls created with my Elnett combo. Day 1, 2 and 3 curls. 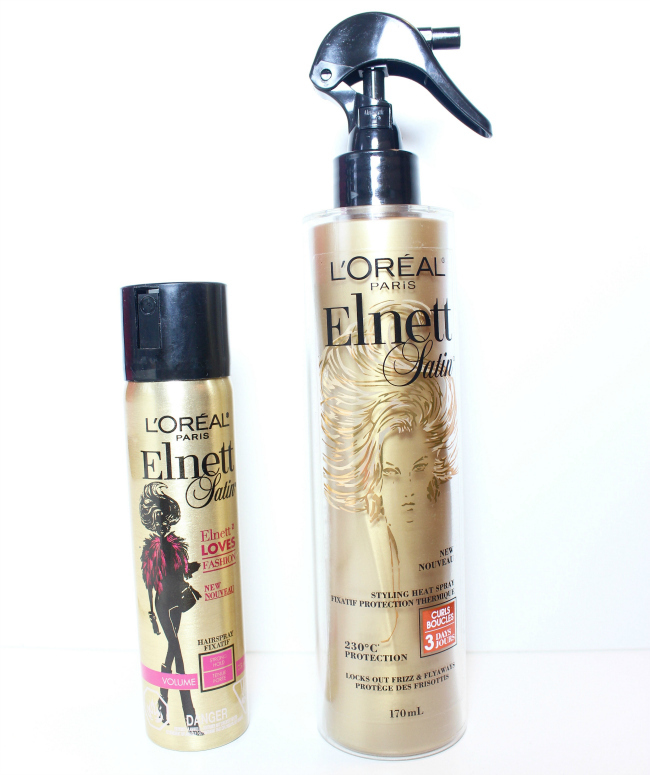 Got to love @lorealpariscan Elnett Styling Heat Spray for Curls. Holds for the 3 days no problem.